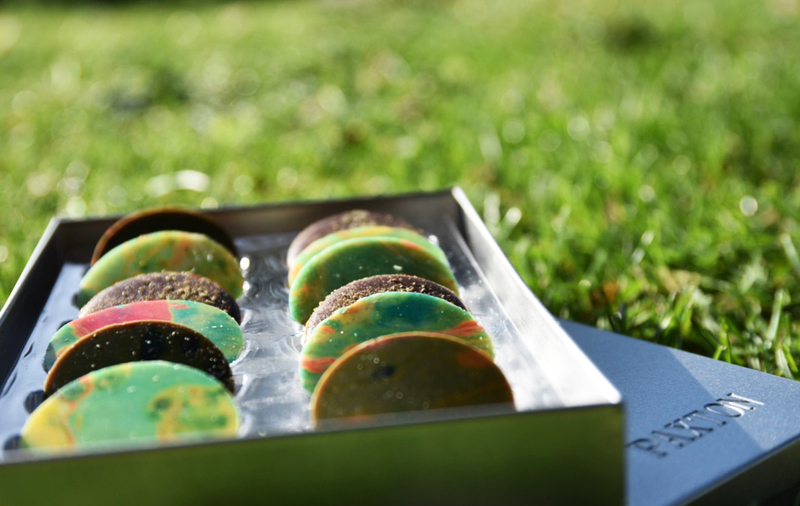 Stylish, chic and multi-sensory – Paxton Chocolate’s Marbled Chocolate Thins are so much more than mere sweets. Sated samples the new Summer flavours and delivers its verdict. Paxton Chocolate was founded in December 2012 by Caitlin Paxton, who with a background in fashion design and architecture, decided to instead follow in the footsteps of her Swiss grandfather – a chocolatier and patissier – and train as a patisserie chef. With all their chocolate sourced from Belgium and made from sustainably grown cocoa beans, quality is very much a focus. This being said, Paxton Chocolates are not solely about taste; Caitlin approaches chocolate as a complete sensory experience, creating beautiful objects that attract the eye with rich colours, textures and patterns. The use of couverture chocolate with its extra cocoa butter ensures a high gloss finish, making these already intoxicating discs delightfully sensuous. But without further ado, on to the flavours. Light and refreshing – the summery juiciness of fresh apricot plays well with the brightness of the avocado to create a lively and fun round. The jammy strawberry notes are incredibly powerful and are enhanced by the rich creaminess of the white chocolate. The lime and basil cut through these robing flavours to bring clean lines of citrus, followed by a light aromatic pepperiness. The banana is present without being overpowering, whilst only a subtle nod is given from the ginger. Unlike most milk chocolates, the cocoa follows through, lingering in the mouth longer after the creamy texture has subsided. Strong, characterful and punchy; this is by far our favourite. Almost savoury in palate thanks to the intense chocolate dressed in rosemary, the orange plays with the fruitness of the cocoa and brings this disc full circle. A true masterpiece of tastes and textures. 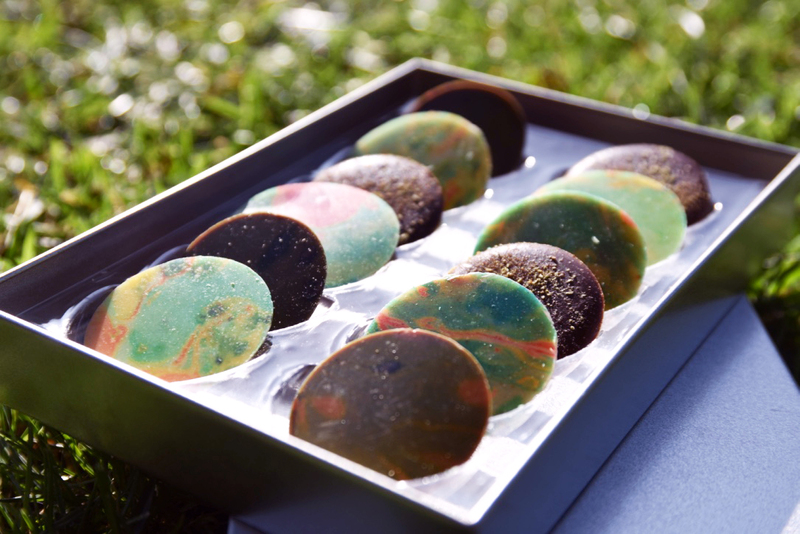 Paxton Chocolate’s Marbled Chocolate Thins boxes come in three sizes, ranging from £7.50 to £25.00. They can be purchased from the Paxton Chocolate online shop here.